Junction Fifteen create award winning innovative and contemporary furniture full of character and playful charm for the domestic and contract furniture market. Established in 2012 by two like-minded British designers David Lord and Ben Frost, Junction Fifteen launched their debut collection at Tent London in September 2013. 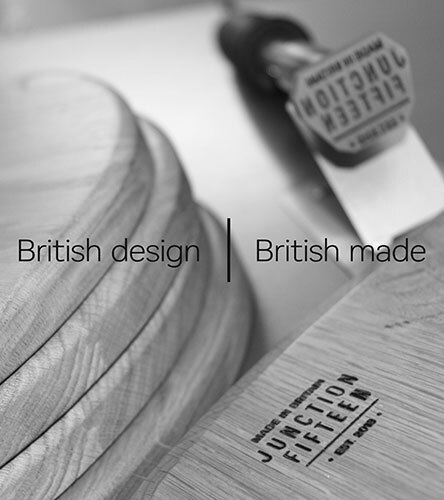 In May 2014 Junction Fifteen were awarded the highly regarded Design Guild Mark for their Olly Stool. The Design Guild Mark rewards the work of the finest British furniture designers working in volume production. ‘We are delighted to have been awarded this illustrious accolade and to be recognised alongside some of the best British designers’. The brand is now fronted by David and a talented team of designers from David’s design consultancy based in Castle Ashby, in the beautiful Northamptonshire countryside.